CAPE TOWN - It was 1980 when 77-year-old Mareldia Voterson, her husband, their nine children and one grandchild were forced to leave their home in District Six. The Votersons are among the nearly 60,000 people who were forcibly removed under the apartheid forced removals act [Group Areas Act] after it was declared a “whites only” area on 11 February 1966. The family had to move to a three-bedroom council house in Lentegeur – a suburb 28 kilometers outside Cape Town. Voterson’s daughters, Farieda (62), Fatima (60) and Suraydah (59), speak fondly of District Six. Like many other former residents, they remember the once-bustling and diverse community, where a mix of races and religious groups lived together in the heart of the city. They can also acutely recall the day the bulldozers started coming in, tearing down houses, forcing families who’d lived there for decades to move to the outskirts of the Mother City. For the matriarch of the Voterson family, it’s too painful to think about that day, and even now, it hurts her to even look at the place she used to call home. Moravian Church Bishop Augustine Joemath studied at the seminary in District Six in the early seventies. Joemath is now serving in the same church, although the surroundings are vastly different. On one side of the church is the Cape Peninsula University of Technology and on the other side is a construction site where 108 units meant for land claimants are being built. Joemath says he still hears of stories like the Votersons’ from some of his congregants who still carry the emotional scars of when they were kicked off the land. He says national government’s undertaking to provide restitution for these people will start with the housing that they were promised after the 1994 elections. But the bishop says that there’s no quick fix to correcting the wrongs of the past. But Phillips and Voterson might not even be alive by the time government is able to move all the claimants back to the area. Kollappen had ordered the respondents in the case – including the Minister for Rural Development and Land Reform Maite Nkoana-Mashabane – to come up with a “reasonable plan and programme” to satisfy the restitution claims of the residents. There are hundreds of verified claimants who have been waiting since 1998 (the first window period for land claims to be lodged closed on 31 December 1998). Going to the High Court now is a last resort for them. 2,760 people had made claims by this date, 110 of which were dismissed, while 1,449 claimants opted for financial compensation. That left 1,201 claimants waiting for the redevelopment of District Six, so they could live there once again. According to a 20 March 2019 court order by Kollappen, there are currently 969 claimants from the “1998 batch” waiting for land restitution. That’s 80% of those who’d first lodged claims more than twenty years ago. Between 2014 and 2016 (the second window period for land claims), a further 1,750 residents also lodged claims for land. These residents have seen 139 homes being built in District Six – as part of the first and second phases of the District Six Redevelopment Project. Elderly and disabled claimants were able to move into these units several years ago. The construction of a further 108 units was halted last year due to problems with the construction company. This is now underway again. The remaining claimants are now seeking answers from government: When will they get to move back? It’s national government’s responsibility to provide restitution and to redevelop District Six. The courts have established this too. The state filed its papers at the end of February 2019 in response to Kollappen’s November ruling. Sekwana cites difficulties around setting up meetings during mid-December 2018 to mid-January 2019, because many people were on holiday, as a reason for the lack of a completed plan. He says in a bid to address the problem the ministry has been meeting with various parties, including the Cape Peninsula University of Technology (CPUT) over a pocket of land it owns within District Six. This piece is required for the “megaproject” which will see the construction of hundreds of apartments and houses for verified claimants. Sekwana, however, points out the cost of the project is a concern and that the state won’t be able to do it on its own. The programme could cost more than R11.6 billion and is likely to take at least 20 years to develop, according to one section of the court papers on the programme costing, drawn up by CNdV Africa (Pty) Ltd (an architecture firm). The costing exercise shows government's plans to build 1,860 restitution units will require R2.4 billion in subsidies. But it also says the Rural Development and Land Reform Department's 2018-2020 budget only has R3.8 billion for the whole country. It’s not only the costs that pose a major problem for the state. This redevelopment plan proposes the building of 5,926 units. 1,860 of these will be “restitution units”, fully subsidised 120m² 2-storey duplexes for verified land claimants. 951 smaller apartments will also be allocated for restitution-seekers, while the rest (3,115) will be mixed-use market units. 33.93 hectares of land will be needed for the mega development, but right now only 27.6 hectares are available. The three spheres of government may be unable to co-operate, leading to funding and procurement challenges. Developers might not be willing to do combined market and subsidy housing projects. Government may not be prepared to make land available for market housing for free (which could be an option as an incentive to get private developers on board). Government being unable to make housing subsidies available timeously. Current rates of residential market units may decrease due to possible saturation of inner-city developments. There is not enough development finance available, which could lead to offshore borrowing. This will affect domestic and international credit ratings. It’s clear that political will is needed from all three spheres of government to get this multi-billion rand housing project off the ground, for the sake of the hundreds of residents who have been waiting since 1998 for restitution. But if this plan, or lack thereof, is anything to go by, they could be waiting at least another 10 or 20 years. "Nobody's happy...this is a sad moment in history, once again, for the people of District Six. They've been let down by this government,” says Shahied Ajam from the District Six Working Committee. The committee is one of the representatives of the 1998 claimants and is an applicant in the case against the state. In Kollappen’s 20 March ruling, he stated that the Minister for Rural Development and Land Reform, the Commission on Restitution of Land Rights, and national government violated the rights of the District Six claimants by failing to provide their restitution. Eyewitness News spoke to South Africa’s chief land claims commissioner Nomfundo Ntloko-Gobodo about District Six. Ntloko-Gobodo says the two-decade delay is not for a lack of trying. Ntloko-Gobodo says that it’s not only a matter of finding the funding to redevelop the land to accommodate all the claimants. She adds the matter is further complicated because the state needs to accommodate those claimants who actually owned the land they were removed from and which were just tenants. 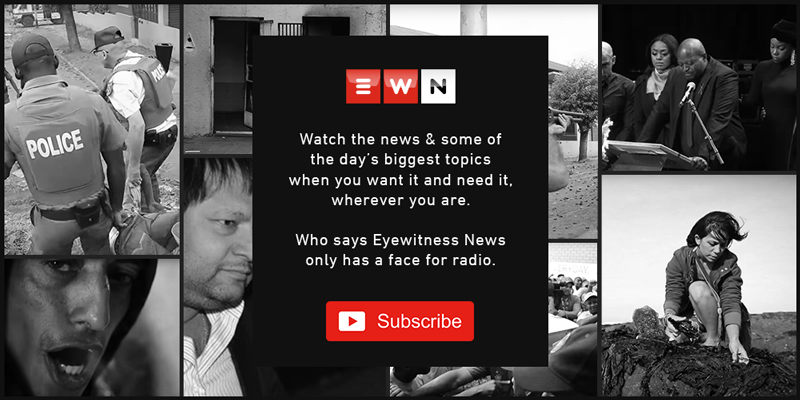 The day EWN spoke to Ntloko-Gobodo (on 20 March), news of Kollappen’s latest ruling in the District Six matter had not yet been reported. Kollappen criticised the state over how long it’s taken to provide restitution to the claimants. Lawyers representing national government have argued in court it has, since 2002, worked closely with representatives of the claimants to come up with development plans for District Six. But this collaborative process hasn’t been very successful. The court recognised the challenges government has faced in attempting to include the claimants every step of the way in the redevelopment process over the last twenty years. This doesn’t, however, give the state permission to abdicate its duty here, which is to deliver restitution, something that it has failed to do. Ntloko-Gobodo even admits there have been challenges over the years in government’s attempt to involve the claimants every step of the way to redeveloping District Six. Over the years there have been several groups chosen by the claimants to represent them in meetings with government officials. But this seems to have led to factionalism within the community, with one group claiming to represent a portion of claimants and another group claiming its stake as well. Phase 1 and Phase 2 of the first redevelopment plan which saw 139 units being built in District Six was spearheaded by the District Six Beneficiary and Redevelopment Trust. But Ntloko-Gobodo says in 2012, then Minister Gugile Nkwinti, stepped in after hearing about unhappiness among some claimants over the lack of progress with the Trust. Since then, there have been three other representative groups formed by the claimants – the District Six Community Forum, the District Six Reference Group, and the District Six Working Committee that is currently in litigation with the state. COULD THE STATE HAVE DONE BETTER? EWN asks Ntloko-Gobodo whether there was a better way for government to deal with this situation. But the matter had to be taken to the court, because claimants were fed up with waiting for straight answers from government, surely this could’ve been avoided? The commissioner agrees that government should’ve stepped in when there were issues around the development of Phase 1 and Phase 2, especially after claims from claimants that they were being asked to contribute R200,000 towards the project. She also says her office is dealing with many other cases like District Six, although all of them are unique. Alexandra in Johannesburg is one of those cases where over 1,000 residents have lodged land claims to return to the place they were also forced from under the apartheid regime. And the commissioner is acutely aware of the sensitivity and urgency of cases of restitution. Her message to District Six claimants, like Voterson and Philips, who are still hopeful they’ll return to the place they grew up in. Ajam says there’s “no way” claimants will wait another two decades. “You're going back to District 6 sooner than what government is trying to make you believe,” he emphatically states. He says the committee has its own “holistic plan” for redeveloping District Six, one which only needs government to act as a facilitator and not a developer. This plan, he believes, could be implemented sooner than the one government has come up, and will be submitted to the court.